They’re not just great looking, but they’re soooooo comfy! My feet don’t know what’s hit them…well, actually, they do. A squishy cushion of comfort is what’s hit them! The other night, I was invited to a blogger event with Hotter Shoes, Guildford, to learn more about their shoes, how they are made, what sets them apart from competitors and to also, so exciting, get a pair of shoes or boots of my choice. Seriously, it was more exciting than Christmas! I have a couple of pairs of their shoes already (thanks to my Mum being a HUGE fan of them already – she now has more pairs of shoes than Imelda Marcos…) so I knew how comfortable they were, but I wasn’t entirely sure on the companies history/unique selling point. I think some people have an impression that Hotter shoes may be for the ‘older’ market but that completely isn’t true. They’ve worked really hard on their more fashion forward approach and I am pretty certain there is a pair of shoes for everyone in the store, from Goretex lined (waterproof) boots to loafers and brogues. They also do shoes for Gents. Hotter shoes started out in 1959. They’ve been designing and making footwear now for 50 years. They first began with making slippers and then, in the early 1990’s,they had a ‘eureka moment’. They identified a niche in the market for stylish shoes with comfort built in. I’ve tried some pairs on, and I can vouch for the comfort! Since then, product innovation, world class production facilities and continual reinvestment in their business has seen their shoe collections expand beyond all recognition. They now have a ‘classic’ range of shoes that are always available and then they have a more fashion focused range of shoes, heels and boots that change each season, but still with that same Hotter shoe comfort. They’re 100% passionate about comfortable shoes…and so am I as a mum who walks A LOT of steps each day. At their factory in Lancashire, they have invested millions of pounds to create one of the most advanced shoe making facilities in the world. They have full command of production in their factory, making more shoes per year than any other shoe maker in the UK, and that gives them great flexibility and 100% control over the quality of their products. 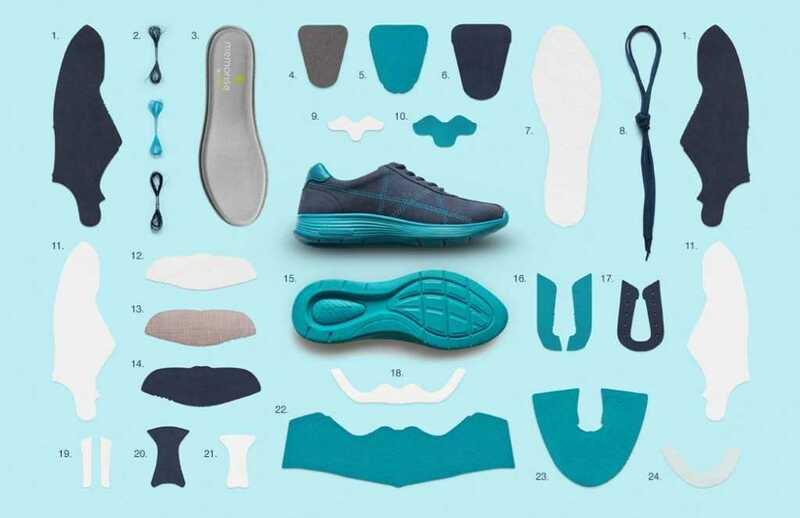 Every single pair of shoes is millimetre perfect when they make it and they are hand polished before being wrapped in tissue and then placed in their box – left shoe first, side down, followed by right shoe, side up so when you open the shoe box the first thing you see is the colour and detail of your shoe! They have really thought about it all haven’t they! Each style of shoe is meticulously tested and checked before being approved for production by them. The soles are so hard wearing, it is almost a certainty that the uppers will wear before the soles. The lady in the shop said the soles would probably last for 13 years before they wear out due to the special way they are made. There are currently 70 Hotter stores and more than 200 independent retailers (many inside Garden Centres!) nationwide. To find your local store, click here. We were given a little presentation by a member of staff (she did ever so well) about how the shoes are made, the companies history and the styles of shoes they have and then, we were unleashed into the shop and told we could try on any pair of shoes we wished. It was like a fairy godmother had made a wish come true! I knew instantly, given the time of year, I would like some new boots so that’s what I tried on. I tried a couple of different styles but I had already fallen in love with a pair of ‘on trend’ dark Brown ones that look fab over the top of skinny jeans, or tucked under a pair of Bootcut ones. Decision made within 5 minutes I think! They fit like a glove (I am a size 4 and these were spot on) and they were super light on my feet, despite the fact they’re boots. They’ll be perfect for all those school runs. Almost all Hotter shoes come in a wider fit and a few pairs even come in a triple wide fit. I wouldn’t hesitate to recommend Hotter shoes to anyone. They’re well made (British too which is a bonus! ), comfortable, practical without compromising on aesthetics and they also have excellent customer service. You can buy their shoes online, and learn more about Hotter Shoes, by visiting their website. Thank you Hotter shoes for inviting me along! Disclosure: I was invited to a blogging event to learn more about the shoes and boots Hotter make. I was gifted a pair of shoes or boots for the purpose of this review but all words, thoughts and opinions are my own.